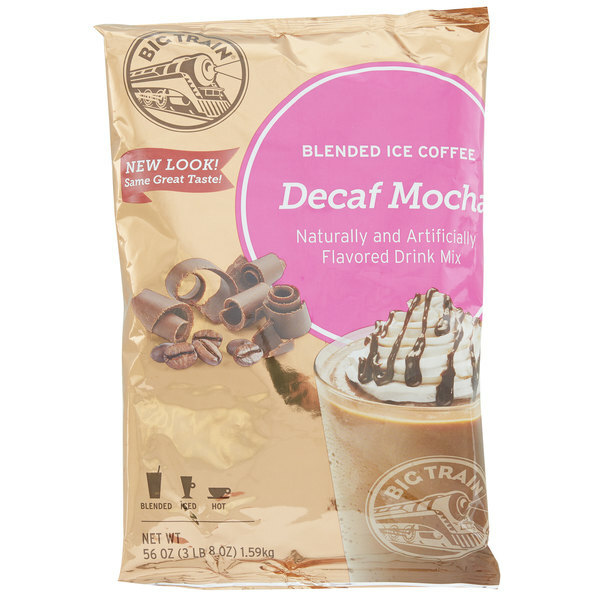 Offer irresistible chocolate flavor in your coffee beverages with this Big Train decaffeinated mocha blended ice coffee mix! With a name symbolizing strength and constant motion, Big Train has expanded into a global foodservice brand you can trust with a large number of diverse products to choose from. Big Train has become a leader in the specialty beverage mix industry, delivering easy-to-make and consistently-delicious products. Serve your guests signature decaf coffee drinks that can be served hot, iced, or blended! 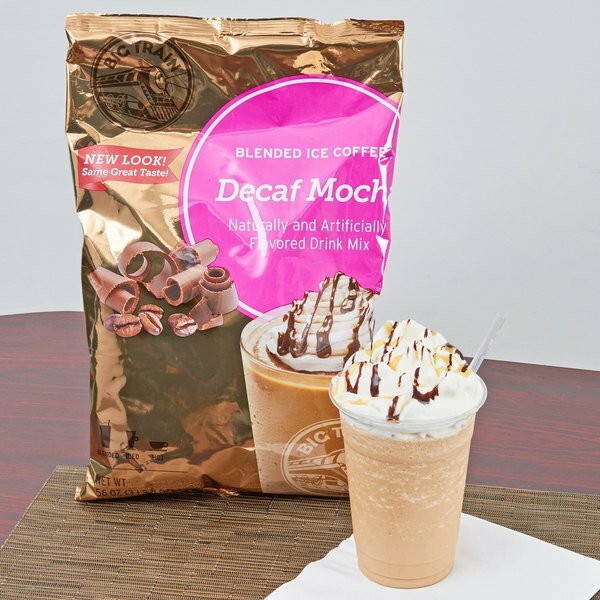 This drink mix is made with nonfat milk, smooth decaffeinated Arabica coffee, and cocoa powder for classic, chocolaty, mocha flavor. 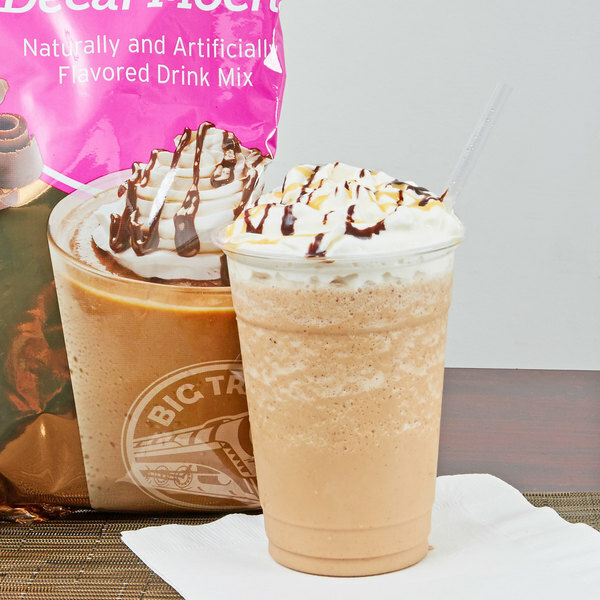 Easy to make, this mix can also be used as a base to create your own flavorful blended mochas. Featuring a rich, invigorating taste your guests are sure to enjoy, this drink mix is gluten free, trans fat free, and contains no hydrogenated oil.